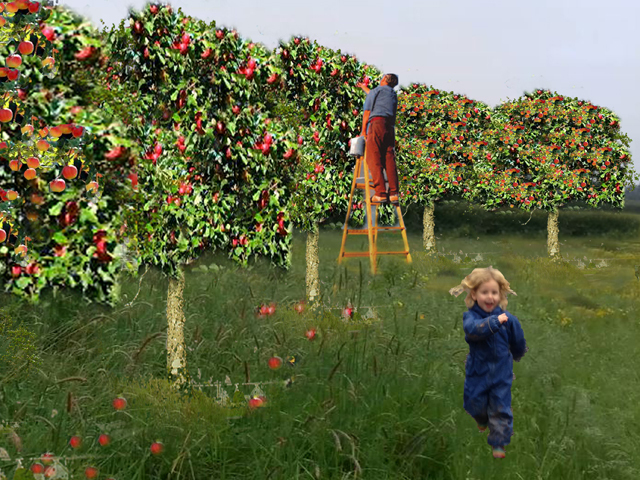 We were commissioned in spring 2017 to design a community orchard for Oldbury on Severn in Gloucestershire. 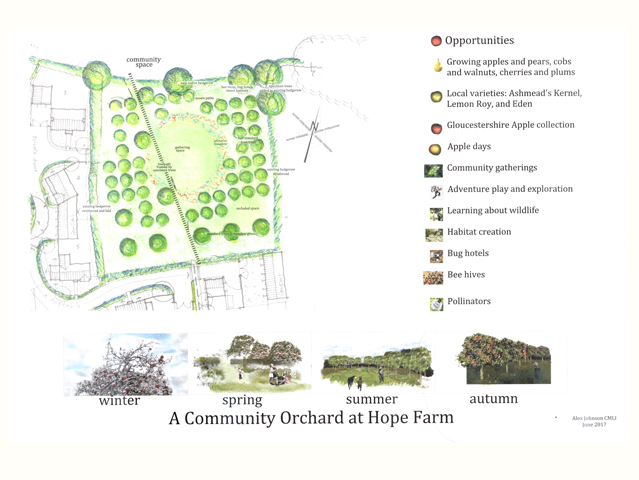 The scheme includes local apple varieties, wildlife habitats, a wildflower meadow, and places for picnicking, resting, playing and enjoying the fruit. 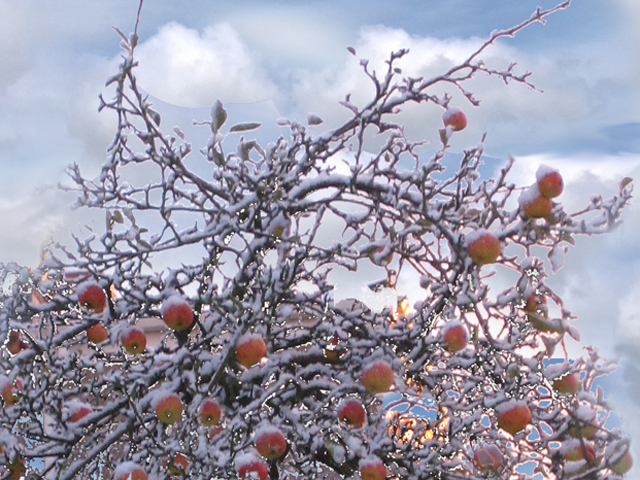 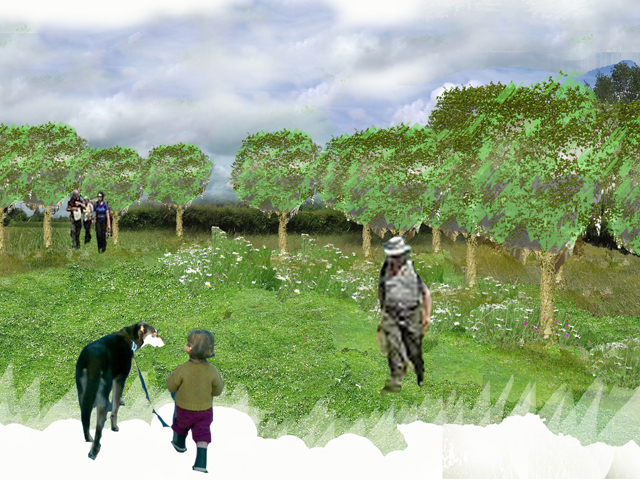 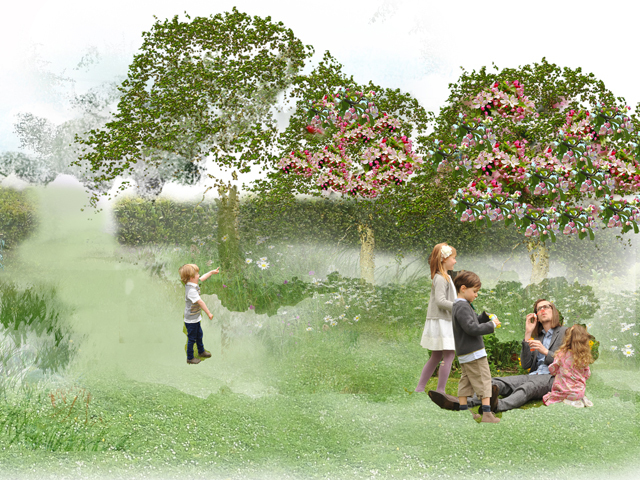 The orchard will be crossed by the existing public footpath, and be a pleasure for residents and visitors alike.